Happy Tuesday! I'm excited to let you know that registration is now open for December Daily® Product Play 2. More details below as well as details about the classic Storytelling With December Daily® workshop that is available as a self-paced class (it's open year-round now for anyone to take at any time). 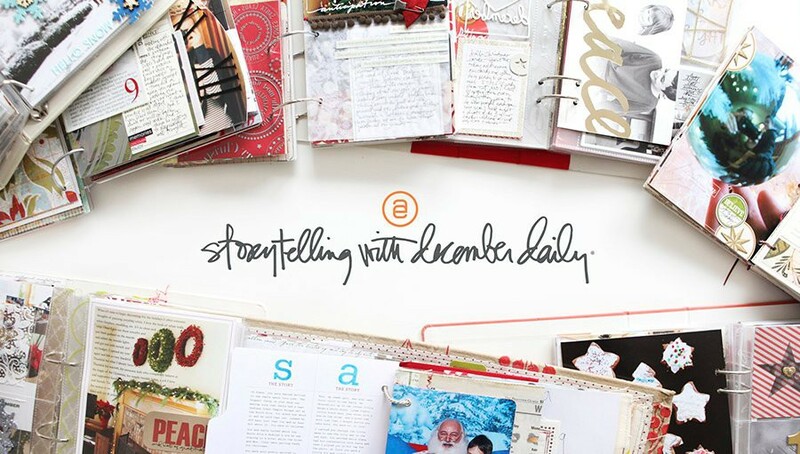 If this is your first year participating in December Daily® I highly recommend Storytelling With December Daily® as it is really the core workshop for this project. As always I'll be sharing my foundation pages and my completed pages here on my blog for the actual stories I'll be telling this year. I'll begin sharing my foundation pages (my starting point for this project) in late October. Last year I offered a brand new workshop for December Daily® called Product Play (that workshop is still available if you'd like ideas on working with stars, hearts, and circles). 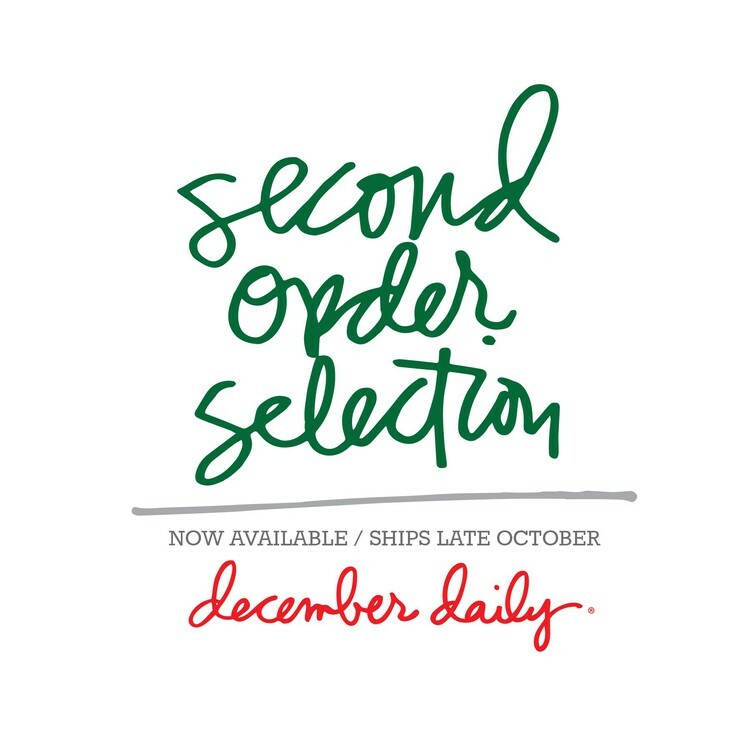 For 2018 I've created all new content for December Daily® Product 2. In this 3-week workshop - starting November 6th - we will take a closer look at playing with three specific shapes in December Daily® documentation: trees, titles/type, and tags. There are so many different ways you can creatively play with these kinds of products/shapes in your project to compliment your stories. We'll also be talking about the specific design concepts that go into working with these shapes/topcis which will be useful for you in any projects going forward. I'll be using products from this year's December Daily® collection (including some digital products) but the specific products are not required. As always I'll be coming at this with storytelling and simple design at the forefront. REGISTRATION: Open now. First delivery of class content will be on Tuesday, November 6th. 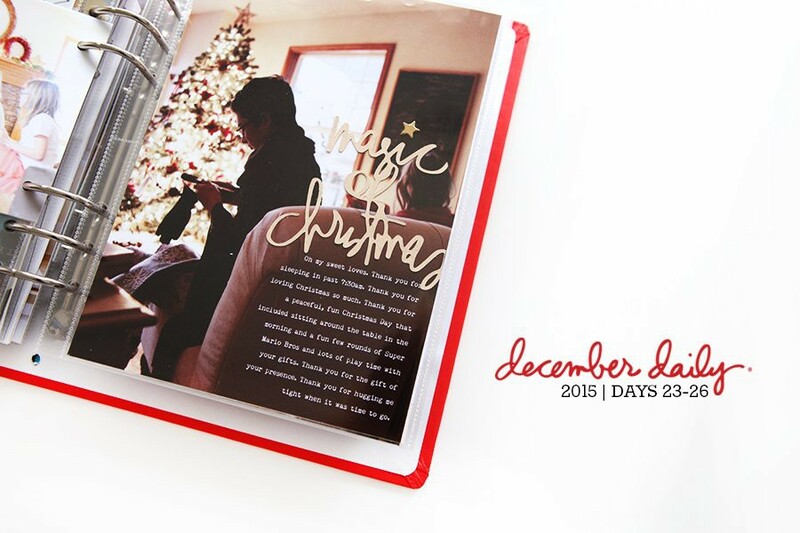 Storytelling With December Daily® is definitely the class to take if you are really looking for a deep-dive into getting to the heart of the matter with this project. If you haven't taken this workshop I highly recommend it as a way to really think through how you might want to approach this project and the stories that are most important to you. I put my whole heart and experience into putting this workshop together that first ran in 2015 and I'm happy to bring it back again as a self-paced workshop (same content as the previous versions of this workshop). REGISTRATION: Open now. This class will be offered as a self-paced experience which means when you purchase the class all the content will be immediately available to you. 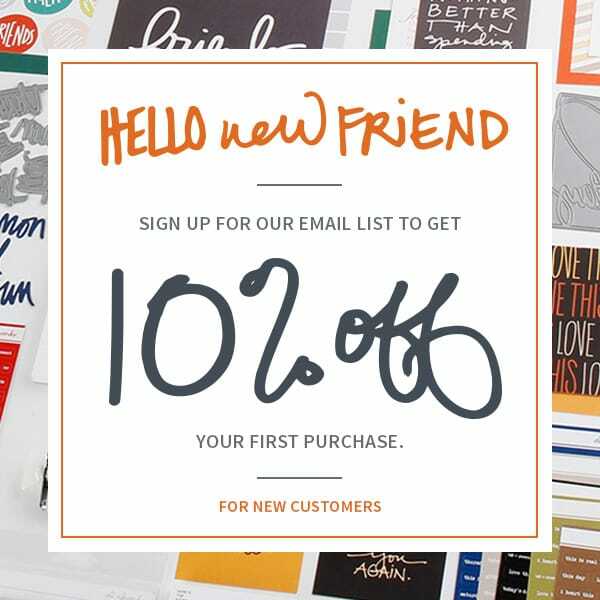 INCLUDES: Digital package that includes PNG and cut files. NOTES: Albums included in the video walk-throughs in this workshop include all my albums through 2015. You can view a walkthrough of 2016 here. I will also film a walkthrough of my 2017 album and share it here on my blog sometime in the next couple of months. I'm so looking forward to seeing you guys in these classrooms this year! Thank you for giving me the opportunity to share my passion with you. Love the Storytelling with DD class! I took it the first year it ran and revisit it often for inspiration. Thank you so much for doing the walk-through of 2016 and (TYIA) 2017 on your blog. I really appreciate the class being kept current that way. 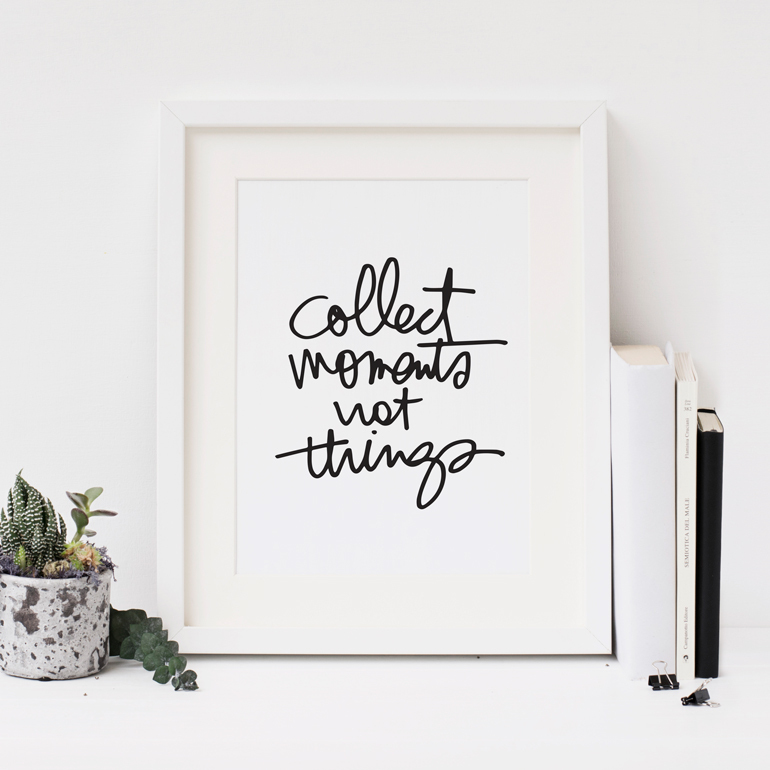 Same goes for your walk-through of 2017 Project Life (on your blog) and the Storytelling with PL class. I'm guessing 2016 PL doesn't have a walk-through because you didn't finish it yet?? Would it be possible to add links to those blog posts in the classrooms so they can be found more easily? Your Product Play workshop last year was my absolute favorite. SO EXCITED for this year's class. Thank you for keeping DD fun. I have been on this journey with you since 2008 and it is still the project I look forward to the most.